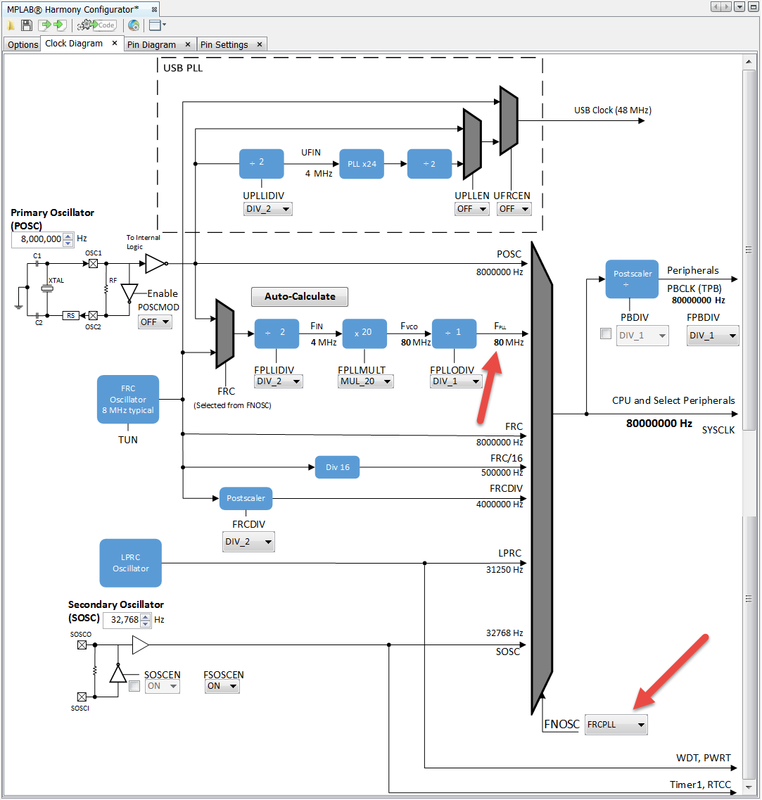 This example project uses the USART Dynamic Driver Library to control a single USART. A computer-based terminal program (e.g. Tera Term or CoolTerm) is used to transmit a character to the PIC32 USART. The PIC32 will then increment the ASCII value of the character by one, and transmit this new character back to the terminal program. In other words, if you transmit the character "b" to the PIC32, it will reply with the character "c". 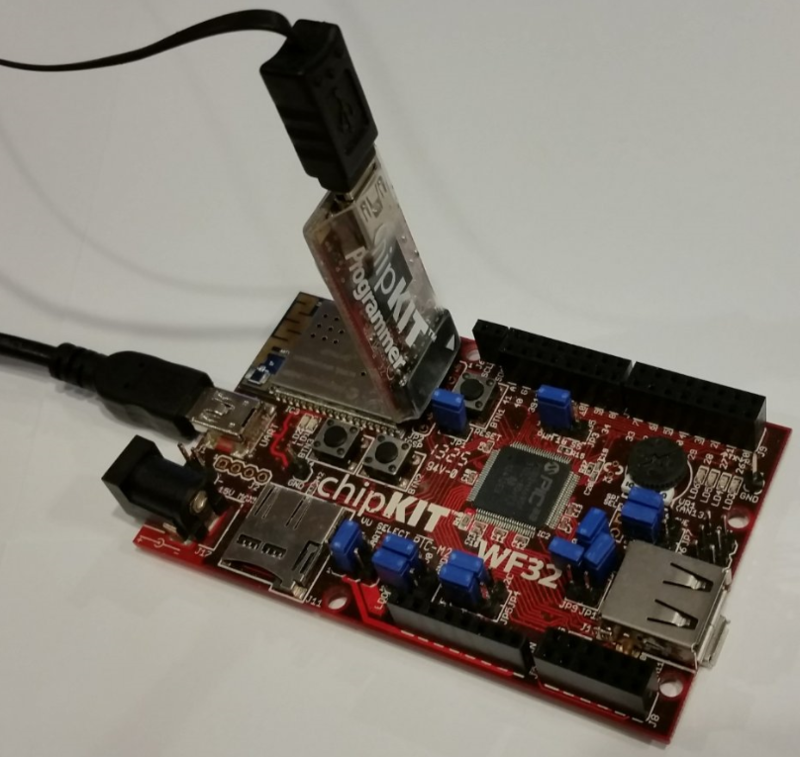 The hardware for this project uses the chipKIT WF32 board from Digilent Inc. This board uses an FTDI USB to UART converter, which connects to the USART1 TX and RX pins (U1TX, U1RX) on the PIC32. 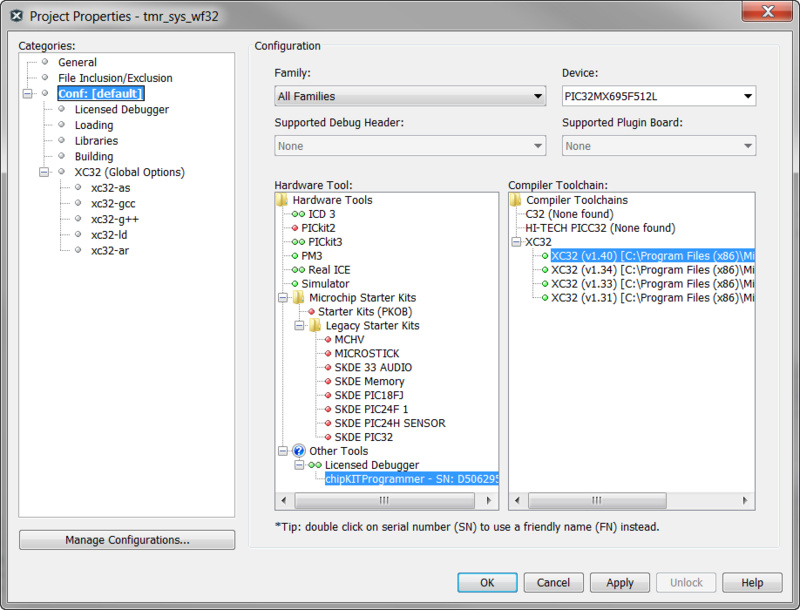 Create a handle for the USART Driver, then initialize the handle by opening the driver. 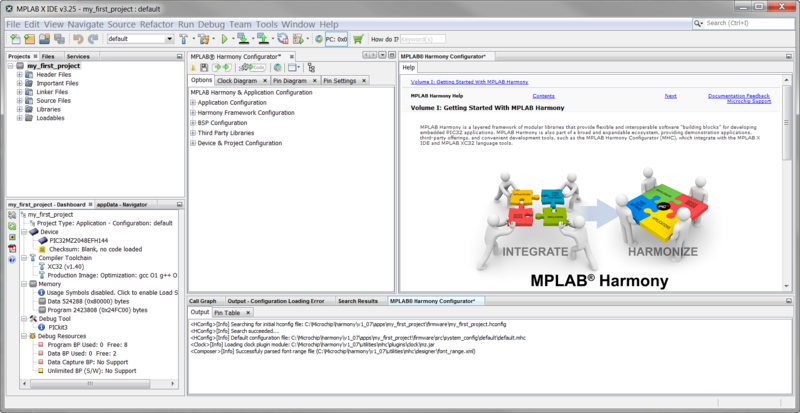 Open the app.c file and add a global variable named myUSARTHandle (near line # 63). This will be used as a handle (pointer) to access the USART Driver client object (structure), which is created when we open the driver. 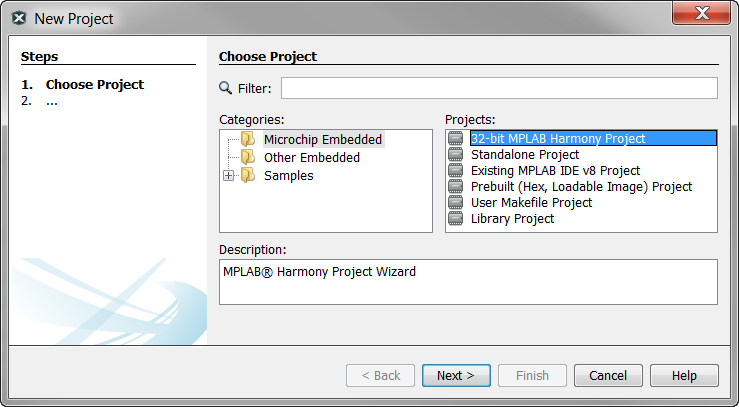 In the app.c file, find the APP_Initialize() function (near line # 116). 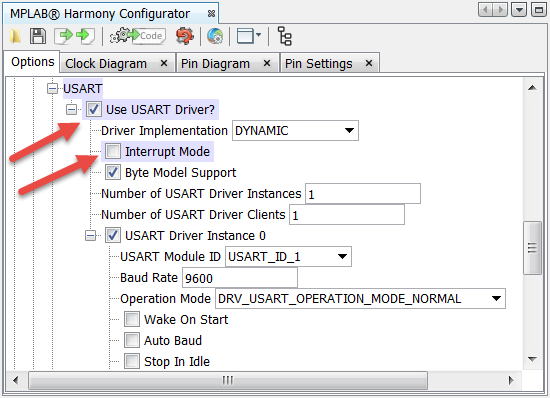 Open the USART Driver and obtain a handle to it using the DRV_USART_Open() function as shown below. In the app.c file, find the APP_Tasks() function (near line # 139).